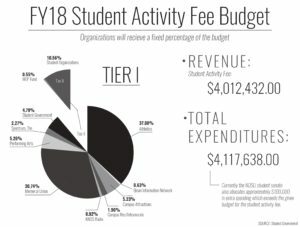 Student fees, including the student activity fee, vary in total amounts from year to year based upon the total amount of students paying for fees. What will not change for the coming year, though, is the percentage of the total amount of student activity fees which are allocated to various tier I, tier II and tier III organizations. 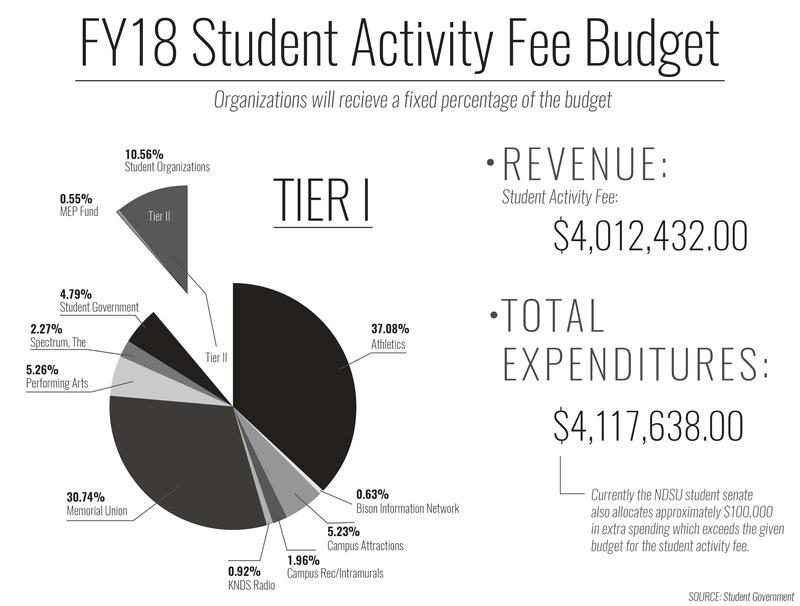 The estimated total revenue for the student activity fee in the 2018 fiscal year is approximately $4 million. 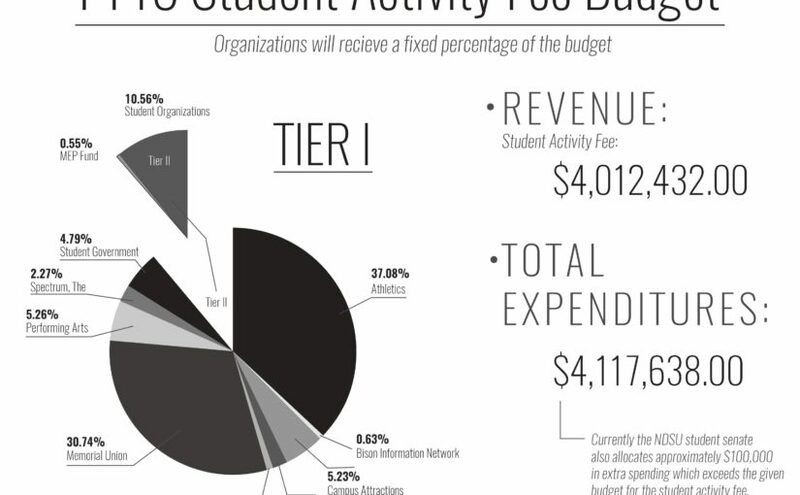 North Dakota State Athletics is set to receive the largest portion of the pie, taking home 37.08 percent of the total revenues, accounting to slightly under $1.5 million. Memorial Union is set to claim 30.74 percent of the total budget, approximately estimated to be slightly over $1.2 million. 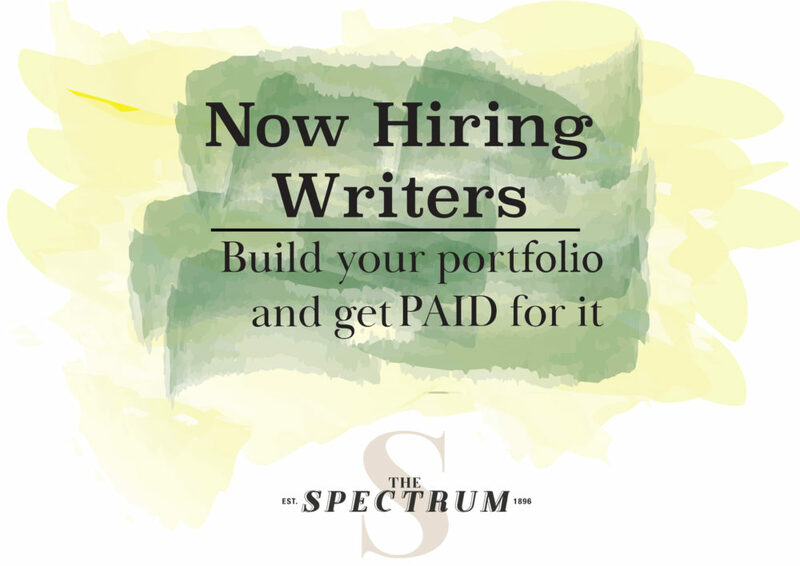 Student media, made up of KNDS 96.3 FM, the Bison Information Network and The Spectrum, will claim 3.82 percent. Tier II and tier III organizations, along with the MEP Fund, are set to take home 13.73 percent. Campus Attractions, Campus Recreation and Intramurals, Performing Arts and student government are set to use up the remainder of the allocated budget. Of the tier II and tier III organizations, higher revenue using clubs are set to receive an estimated allocation of around $25,000, give or take $2,000. These organizations include Bison Robotics, Lincoln Speech and Debate, Men’s Club Baseball, Men’s Hockey Club, Men’s Lacrosse, Men’s Rugby, Rodeo Club and the Women’s Hockey Club. 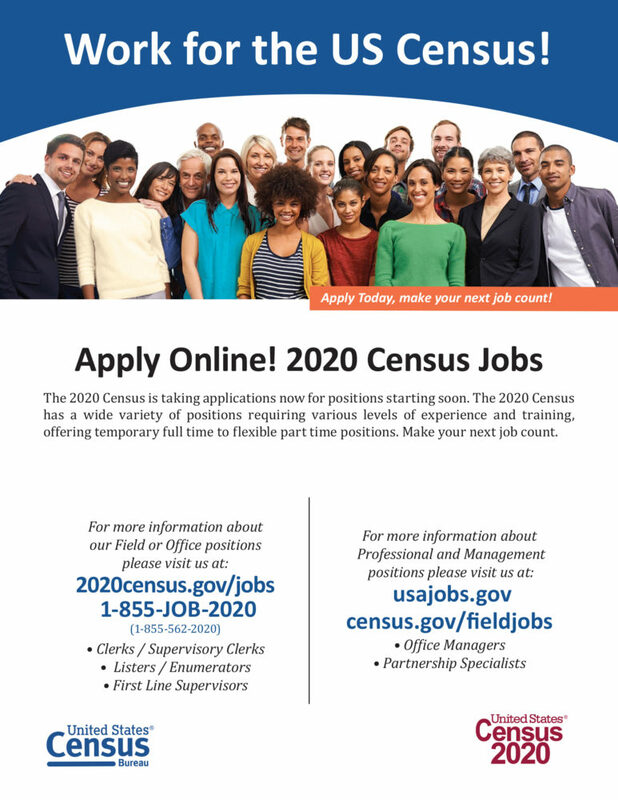 Over 60 organizations are set to receive an approximated allocation of over $1,000.